If you've read Close To Her Heart or Good Together, you've heard the name Eliza Bramble, she's a cousin of the Carrigans from their mother's side. This book follows her Christmas romance. 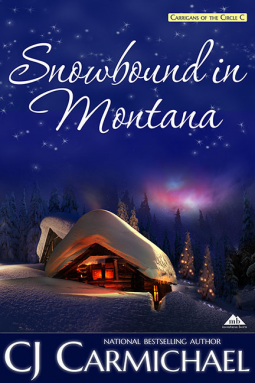 Eliza needs to get away for the holidays so she signs up for a ski trip that goes horribly wrong and right at the same time. Marshall McKenzie is in charge of this little trip from hell, the guest are horrible, with the exception of Eliza; the blizzard pretty much puts a damper on everything. In trying to keep everything going as smooth as possible Marshall begins to bond with Eliza, who until the very end of the book is still carrying a torch for her ex. The story was sweet, Marshall is like the ultimate good-guy that gets friendzoned a lot, Eliza was okay, but I did not really like her that much. They don't come together until the end of the book and Eliza spends to much time pushing Marshall away. I will say though that we get a few hints at the end as to what is coming next for the Carrigan sisters, so yes, you get to look forward to another book.